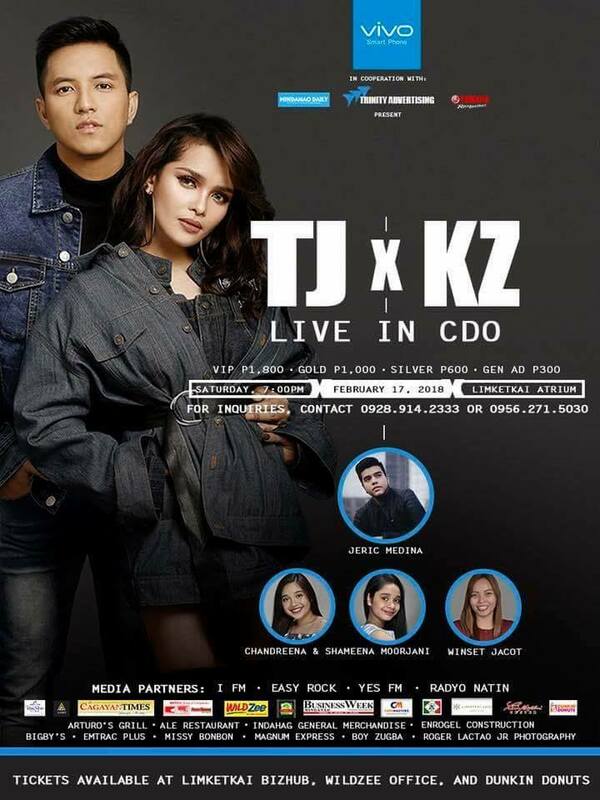 Valentine’s Day is fast approaching and even that day is over, the excitement continues especially for KZ and TJ fans in Cagayan de Oro! The musician power couple is set to take Cdo by storm this February 17, 2018 at 7pm at the Limketkai Center Atrium through a post-valentine concert. They have special guests who will join them who are; X Factor alumni Jeric Medina, Chadreena and Shameena Moorjani, and upcoming Visayan singer Winset Jacot. KZ and TJ are real life lovers and were brought together by their same passion which is music. They are a couple for 3 years now and reportedly met through music icon and well-renowned singer Martin Nievera. The couple has their own hit single called “Ikaw at Ako Pa Rin” which is about conquering difficulties of long distance relationships. KZ Tandingan whose real name is “Kristine Zhenie Tandingan” was born in March 11, 1992 and is a popular Filipino singer. She rose to fame after becoming the winner of “X Factor Philippines 2012”. On May 2, 2013, KZ already released her self-titled debut album produced by Jonathan Manalo. Last January 11, 2014, KZ won P1,000,000 at a TV show contest called “The Singing Bee” and won 3rd runner up in the 2nd season of Your Face Sounds Familiar show. As of February 9, 2018, KZ has been competing as a weekly challenger on China’s Singer 2018 wherein she got the 1st placed beating pop singer Jessie J who had always taken the top spot at the show. KZ performed her own rendition of “Rolling in the Deep by Adele” which astonished the crowd. Her fate is yet to be known on this show since it is still ongoing and KZ will remain a regular contestant due to her recent win. To promote her upcoming concert with TJ, she had a press conference held at Bigby’s Café and Restaurant last December 15, 2017 which was hosted by VIVO Philippines when they launched the “Vivo All Screen Experience” event at Centrio Mall. TJ Monterde on the other hand, hails from Cagayan de Oro City and used to be a rising balladeer who became popular on YouTube at first. 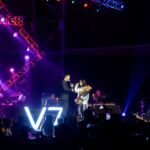 He is well-known for his hits; Dating Tayo,” “Tulad Mo,” “Ikaw At Ako,” and “Ikaw At Ako Pa Rin,” which features KZ Tandingan. In the past, TJ was a host at ABS-CBN’s show “Mag TV Na”. He then soon went to Manila and pursued his career in music and found his luck there. To purchase tickets and for inquiries, contact the following numbers; 0928-914-2333 or 0956-271-5030. You can also buy tickets at Limketkai Bizhub, Wild Zee Office and Dunkin Donuts.